PoSeID-on will combine expertise, experience and skills of partners on personal data protection and regulation needs as well as technological services development and delivery. Ten participants (plus three linked third parties) from seven European countries constitute the PoSeIDon Consortium (see table and figure below) combining Public Administrations (Italian Ministero dell’Economia e delle Finanze, Austrian Bundesministerium Für Digitalisierung und Wirtschaftsstandort f as linked third party of BRZ, Santander city), large industry (Accenture, Softeam, PNO with its Italian linked third party being part of the same group called CiaoTECH), two SMEs (E-lex and JIBE), a private/public IT provider (Austrian Federal Computing Centre), a research centre (Tecnalia) and a University (Coimbra University). The partners of PoSeID-on project have been selected considering their competencies and expertise. The consortium relies on several important strengths. First, the presence of two end users fully involved in the Consortium and a third one will be involved as linked third party, that will play an active role in the project by defining the requirements of the pilots. Secondly, the consortium features a research centre and a university with significant expertise in the fields of cybersecurity, blockchain technology and artificial intelligence technologies. They will surely support the consortium in the research and technology development phase. competencies, experience and ambition at high level. The MEF is the executive body responsible for economic, financial and budget policy, planning of public investment, coordinating public expenditure and verifying its trends, revenue policies and tax system. It operates the State’s public land and heritage, land register and customs; it plans, coordinates and verifies operations to foster economic, local and sectorial development, and is responsible for setting out cohesion policies. The Ministry performs a supervisory role over entities and activities as well as performing such functions as concern its relations with supervisory and regulatory authorities and set down by law. As part of the Italian Ministry of Economy and Finance, the Department of General Administration, Personnel and Services (DAG) supports the rest of the Ministry and other Public Entities by offering a variety of shared services. DAG, and more specifically DSII, is constantly looking at new ways to improve its IT infrastructure in order to achieve a better exploitation of physical and logical resources, thus improving efficiency and cut operative costs. This is proven by its recognized role as a leader in the eGovernment sector, as demonstrated by its being awarded the European eGovernment award in 2009 (MEPA). Thanks to its experience at the cutting edge of Public Sector Innovation, DSII has extensive experience in investing and developing new IT technologies with the aim of better serving its end users. Due to its pivotal role in the Italian Public Sector, DSII has focused on the opportunities offered by cloud computing in order to integrate its services as well as its databases with those of its strategic partners including other Italian Public Entities. DSII is leading DAG in exploring opportunities around other relevant issues including interoperability, data privacy and security across multi-domains and heterogeneous environments. Its dual role as a both a critical piece of national infrastructure as well as a leading innovator makes it an ideal choice as a Consortium partner able to both lead the team and take part in a pilot. DAG also supports MEF and the broader Public Sector by overseeing a number of other areas including logistics, asset management and IT, supply management, recruitment policy, HR policy, labour relations, management and dissemination of Public Sector Payroll data. Within DAG, the Directorate for IT Systems and Innovation (DSII) is responsible for NoiPA’s management and upkeep as well as for the payment of salaries to all its payees. In addition, it manages IT systems for the entire Ministry as well as relationships with the Italy’s Digital Agency and other strategic partners in Europe. It is involved actively in promoting and implanting IT and innovation projects that serve the Ministry and that are scalable to the entire Italian Public Sector and beyond. For instance, DSII is currently investing in a variety of new areas including open data in order to increase transparency around public payroll figures. MEF – as project coordinator – will be in charge of WP1 dedicated to consortium and project management activities, supported in this also by another project Partner, ACN. MEF will also be involved in identifying and collecting the requirements related to the test and evaluation in Pilot 1. Accenture is a worldwide company providing consulting, technology services and outsourcing. Accenture combines unique experience, individual skills in all sectors and business and functions. Accenture provides a Customer Services Professional Present in Different Industries, of which 89 companies of the Fortune Global 100 and more than three quarters of the Fortune Global 500. 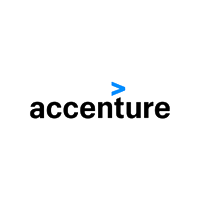 Accenture Strategy, Accenture Consulting, Accenture Digital Accenture Technology & Operations, Accenture Security are the drivers of innovation, through which the company builds skills and capacity World Cup develops its skills and creates, acquires and manages solutions to integrate for clients. The Accenture Group is organized into 5 macro business areas in which they operate 5 Market Operation Group: Communication Media & Technology, Financial Services, Health and Public Sector, Resources, Products. shareholders, through the definition and execution of specific industrial strategies based on technology. Accenture Consulting: provides the best experts in the industry with management and technology consulting skills, for the transformation of the leading companies in the world. Accenture Consulting has primary responsibility for directing and coordinating the expertise present within the entire organization to help our customers to transform their business. Their advisory capabilities enable our customers to design and implement transformation programs, and for one or more business units, both for the entire organization. Accenture provides specific consulting services for 13 different industrial groups, as well as functional consulting services and technology. They help also our customers to implement a digital transformation, enriching our services with expertise in digital, cloud, cybersecurity and artificial intelligence. Accenture Digital: combines our skills in digital marketing, mobility and analytics to help the business of our clients to exploit the digital power to improve their performance, provide their end customers the best experiences, and the creation of new products and business models to high value. The digital is changing, gradually, the way businesses and governments operate, from the interaction with customers and suppliers, to personnel management. Accenture’s experience, combined with our digital knowledge, allow us to create practical results for the improvement of performance and profitability. Accenture Operations: provides business process services, infrastructure, security and cloud, including Accenture Cloud Platform. Accenture operates on infrastructure and business processes on behalf of our clients, increasingly based on as-a-service, to help improve their productivity and their performance. Accenture Security: Accenture helps businesses prepare, protect, detect, respond and recover along all points of the security lifecycle. Leveraging our global resources and next-generation technologies, we create INTEGRATED, practical solutions that are TAILORED to each organization’s specific business goals and industry — solutions that clients can put in place immediately. Whether defending against known threats, quickly detecting and responding to the unknown or running an entire security operations center, Accenture helps harden organizations and make it extremely difficult for even the most sophisticated cyber adversaries to succeed. With specific reference to the PoSeID-on project, Accenture will bring its strong and consolidated expertise in CyberSecurity, Cloud and Blockchain. It will be responsible of the platform design and integration WP and will support the project coordinator in the project technical management. 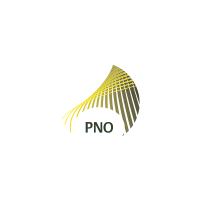 PNO Innovation N.V. (part of the PNO Group), is specialised in Grants and Innovation Management, providing support services to private and public organizations in Innovation processes, Technology Transfer, IT solutions and funding for research, development and innovation. PNO is a European group, made up of a pool of around 250 professionals including scientists, engineers, consultants, a Brussels policy advisory service, as well as financial and legal experts, with consolidated experience in innovation processes and funding in international working environments (Europe, Latin America, and USA). Created in 1985, PNO is a high-growth knowledge intensive company, operating in 12 European countries. The growth is explained by a unique combination of services, based on profound insight in research, innovation and funding strategies, up-to-date knowledge and over 25 years of hands-on expertise with more than 500 funding programmes in most EU countries. The company has the proven capability to link innovation suppliers and adopters from a unique Europe- wide client network in multiple sectors, using advanced methodologies, ICT solutions and proprietary on-line networking. PNO has its own community building, management and dissemination tools, the core one being Innovation Place © www.innovationplace.eu. With Innovation Place, PNO offers its clients an innovative service concept, up-to-date web-based tool, knowledge base and European wide communities to manage their own innovation, projects, funding knowledge and networks, combined with the best consultancy support. As a result PNO has developed extensive and real-life expertise in setting up, managing and contributing to complex international technology transfer consortia, communities, processes and projects. PNO supports over 2000 clients throughout Europe, annually developing over 250 European consortia, funding proposals, and fostering their successful implementation in many technology domains through management, technology intelligence, exploitation and dissemination services. PNO is Europe’s largest independent public funding advisory – annually raising over € 1 billion for its clients. PNO projects involve both small, medium sized and multinational industries, as well as Universities and Research institutes, amongst which are European and international leaders such as Amsterdam Schiphol Airport, Booking.com, DOW Chemical, CERN, Finmeccanica/Selex, Fraunhofer Institute, Harbours of Rotterdam and Antwerp, HP, Intel, Microsoft, Philips, Procter & Gamble, Solvay, TomTom, the Universities of Bordeaux, Ghent, Leuven, Rome, Naples, Utrecht, Warwick, Politecnico of Milano, Turin and many more. Furthermore, PNO manages several European EC funded network projects to build Communities of Practice of valuable SMEs, large industries, Universities and Research Institutes, to further innovation in specific sectors, such as Critical Raw Materials (CRM_INNONET), Photonics (Light Jumps), the bio-based product market (BIOCHEM, BIO-TIC and BioLinX), transport (SMART), security (OSMOSIS), open source and embedded software (SHARE), Chemical Regions for Resource Efficiency (R4R) to name a few. Leveraging on its insights and knowledge on innovation methodologies and practices, PNO increasingly supports its clients as partner in strategic European research, development and innovation projects, to carry-out market and functional analyses, develop and implement road mapping, dissemination and exploitation strategies and business plans and support professional project management. Examples are the recently started H2020-SPIRE-07 project REE4EU, to develop new technologies to recover and recycle Critical Raw Materials (http://www.ree4eu.eu/ ) lead by SINTEF in which PNO supports stakeholder analyses and business modelling, the recently concluded FP7-COOPERATION-KBBE project BIOTIC, to develop a European roadmap to overcome hurdles for industrial biotechnology, led by EUROPABIO (http://www.industrialbiotecheurope.eu/bio-tic/ ). As key advisor to the European Technology Platforms (ETP) WssTP, SusChem, the European Council for the Chemical Industry (CEFIC) and the Association SPIRE PNO supports the development of medium to long term research and innovation agendas for water, resource efficiency, amongst others supporting the drive towards the circular economy. As such PNO co-managed the process of developing a Public Private Partnership and the SPIRE 2030 Innovation Roadmap (www.spire2030.eu) for the sustainable process industry, as input to HORIZON 2020. Recently PNO supported the development of the new Water Vision and Strategic Innovation and Research Agenda (SIRA) for WssTP “The Value of Water: multiple waters for multiple purposes and users”. Information Technology Law, Cybercrime, Criminal Law, Social Media, Open Government, Telecommunication, Media Law, Gambling, Consumer Protection, Antitrust, Advertising, Product Liability, Alternative Dispute Resolution. 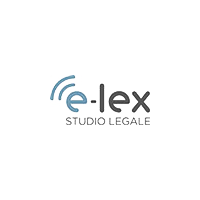 e-Lex is part of a network of highly qualified international lawyers, dedicated to providing the same excellent standard of legal services in Italy and abroad, thus relieving its clients from the burden of seeking legal advice from multiple offices. e-Lex team is composed by a mix of legal experts, university professors, researchers, experts on economy, consultants of the EU Commission and a member of the Italian Government’s Board on “Innovation and digital agenda”. e-Lex vision is focused on creating value on the market and into society, as well as producing policy-relevant results of interest to political decision-makers and the academic community. ELEX will support the project consortium to manage data protection issues, leading WP8. An ELEX representative will be the project Data Protection Officer. TECNALIA RESEARCH & INNOVATION (www.tecnalia.com) is a private, independent, non-profit applied research center of international excellence. Legally a Foundation, Tecnalia is the leading private and independent research and technology organisation in Spain and one of the largest in Europe, employing around 1,300 people (219 PhDs) and with income of 102.5 Million € in 2015. The whole team at TECNALIA has one GOAL: to transform technology into GDP, meaning wealth to improve people’s quality of life through generation of business opportunities for industry. TECNALIA is committed to generate major impacts in economic terms, by means of innovation and technological development, addressed by 7 business divisions covering the economic sectors of Energy, Environment, Industry, Transport, Construction, Health and ICT. TECNALIA has been granted over 396 patents and promoted more than 30 spin-off companies. TECNALIA is a key agent in the ERA – European Research Area. TECNALIA actively participates in the governing bodies of several European Technology Platforms, PPPs and JTIs (EEB, FOF, SPIRE, ARTEMIS…). In FP7 partnered in 377 projects, coordinating 81 of them; in H2020 TECNALIA participates in 138 projects, coordinating 29 of them, up to March 2017. 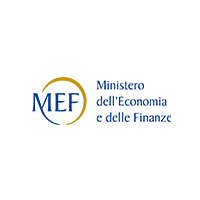 TECNALIA is a member of EARTO, linking together the most important research organisations in Europe. 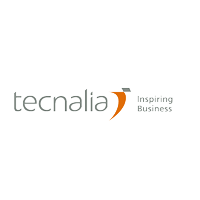 TECNALIA Ventures is a wholly owned subsidiary for the commercialisation of innovative technology-based results, turning innovative technology assets into new profitable and sustainable businesses and generating economic value for society. TECNALIA Ventures focuses on accelerating the development of disruptive technologies to transform them into investable business opportunities and managing the portfolio of TECNALIA spin-offs, currently integrated by a portfolio of 15 start-ups in a wide range of sectors. The University of the Basque Country (EHU/UPV), Tecnalia and Donostia International Physics Center (DIPC) are the founding members of Euskampus (2010, http://euskampus.ehu.es/en/), a project with attained the qualification of International Campus of Excellence from the Spanish Ministry of Education (2010). Euskampus partners with the PRES of the Universities of Bordeaux in the Euskampus-Bordeaux Transborder Campus. TECNALIA is an equal opportunity employer. Current ratio of female/male employees is 44/56. The current project will be carried out by the ICT Division in Tecnalia. The ICT Division’s mission is researching for new procedures to create an interconnected, interactive world, more efficient, friendlier, safer and with better services and contributes in the creation of new technological solutions and smart products. The working team is composed by people of the Cyber-security and Safety Research Group (www.cyberssbytecnalia.com/). TECNALIA’s Cyber-Security and Safety Research Group works on integrated security and safety technologies, processes and practices designed to protect networks, computers, devices, programs and data from attack, malfunctions, accidents or unauthorized access. TECNALIA will act as distributed ledger/Blockchain and smart contracts technology provider by leading the design, development and integration of Blockchain related PoSeID-on solution. Tecnalia will also support the implementation of Santander pilot. The city of Santander is the capital of the Cantabria region in the north of Spain and has a current population of approximately 173,000 inhabitants. From the Department of Computer Systems and Communications belonging to the City Council, consisting of 15 technical staff and 9 foreign technicians, mainly manages and coordinates are the following tasks: Infrastructure management in data processing and communications, so that all municipal services carry out their functions by using new technologies. Deployment and management of networks and communications: voice lines and data transmission, perimeter security, Internet access and e-mail, servers, microcomputers and corporate databases. In recent years, the city of Santander has moved into the vanguard of smart cities, improving public services and developing policies oriented towards its citizens and the stimulation of a new business model of productivity for the city. At the municipal level, innovation is conceived as a transverse area to other areas of governance, coordinating the incorporation of new technologies with municipal services, which leads to an improvement in the services. The city participates in diverse initiatives related to smart cities. Among them, the SmartSantander project has established a before and after in the way of conceiving and organizing innovation in the city. Thus, Santander is well-known as a unique living lab in which to experiment with new technologies, applications and services. A sustainability model has been developed based on the creation of a City Platform. All the urban services must be integrated into it, as they are tendered, as has occurred with the waste management service, with the aim of developing true intelligence in the Smart City. Ayuntamiento de Santander has experience in working on proposing changes in regulations from its point of view as public body. It has also experience in the promotion and dissemination of the results of the project in press releases, conferences, TV municipal bus channel, municipal website, newspapers and in its Smart City Santander Demonstration Centre. The political impulse from the Santander Smart City is very important, participating in several workshops and international congresses. It is outstanding its dissemination ability through RECI (the Spanish Network of Smart Cities). Santander is leading this network, in which currently 65 Spanish cities share experiences and strengthen mutual cooperation to develop common strategies. As a result of different initiatives in which the city participates, an open innovation ecosystem has been created in which the citizens participation is allowing a more lively and co-creative society. Citizens’ awareness and engagement groups will be involved if it were necessary. It has also expertise in implementation of Smart City service trials (tests) that will be connected to the already deployed infrastructure as well as in conjunction with other city infrastructures. Finally, the Santander City Council is deeply committed with the integration of the smart city concept in Santander. This commitment can be seen materialized in actions like the integration of city services in the Smart Santander platform by the modification of City Council procedures. 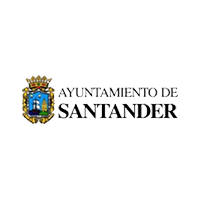 Santander will mainly participate to project and pilots requirements, test and validate the PoSeID-on platform and contribute to the dissemination and the liaison activity. SOFTEAM is a private software vendor and engineering company with about 1000 employees and about €100M in revenues. SOFTEAM headquarters are based in Paris. The main subsidiaries are in Saint-Quentin-en-Yvelines, Toulouse, Rennes, Nantes and Sophia Antipolis. e-Citiz – a platform for Business Process Management for both e-government and companies, and which has been on the market since 2004. SOFTEAM solutions and services are used in many industrial domains including: aerospace & defence, energy, automobile, telecommunications, banking & insurance, government. Capturing safety and reliability information in a system model. Reasoning on the safety and reliability information, both directly on the model and indirectly via model transformations. Visualising safety and reliability information. Exchanging safety and reliability information between a system model and external tools. Tracing between safety information, reliability information, and other information stored in a system model. Softeam will be in charge of one of the project pilots. 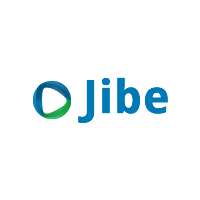 Softeam will specify and develop a use case to implement the PoSeID-on solution in a company e-Service. Softeam will bring its expertise from the PICS2016 french project to the PoSeID-on project. The University of Coimbra (UC) is a reference institution in higher education and research in Portugal. Among its eight faculties, the Faculty of Sciences and Technology (FCTUC) comprises 11 Departments, which cover most the scientific areas. FCTUC research activities are carried out in the scope of 16 Research Units and several Associated Research Units that constitute a national and international reference in science production in a vast number of fields. FCTUC explores also its knowledge transfer and scientific potential through Pedro Nunes Institute (IPN), the 2011 Best Science-Based Incubator. The Centre for Informatics and Systems of the University of Coimbra (CISUC) is a large research centre in the field of Informatics and Communications. CISUC aims at carrying out original R&D at a pre-competitive level, training highly qualified young researchers and co-operating in International European and National R&D projects. CISUC is organized into 6 research groups (Cognitive and Media Systems, Adaptive Computation, Software and Systems Engineering (SSE), Communications and Telematics (LCT), Information Systems and Evolutionary and Complex Systems), covering a substantial segment of the research topics on Computer Science and Engineering, and with an increasing activity on multidisciplinary and emergent research subjects. This project was planned and will involve researchers of the Laboratory of Communications and Telematics (LCT) and the Software and Systems Engineering (SSE) group of CISUC. The Laboratory of Communications and Telematics (LCT) of CISUC has been involved in many research projects and has participated in technical committees and expert groups at national and international level in the areas of computer communications and computer and network security. Current research activity address topics that include Computer Networks, Wireless communications, Quality of Service and Experience, Energy efficient communications, Internet of Things (IoT), Cloud Infrastructures and Platforms, Network and Services Management, Communications Security and Communication reliability. example, the UC is member of one international initiative in the context of SPEC that aims at developing benchmarks for IDS solutions for cloud infrastructures. The University of Coimbra will be the research and development of two core components in the architecture: the Risk Module and the Personal Data Analyser. UC is responsible for the leadership of the WP where these two components will be developed. 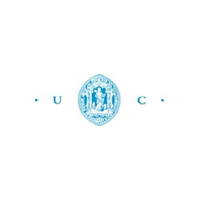 Besides the specific contributions mentioned above, UC will also be involved in the definition of the overall architecture, in the identification of the requirements, in the validation of the overall solution and in dissemination and exploitation activities. The Federal Computing Centre of Austria – Bundesrechenzentrum (BRZ) is the market-leading eGovernment partner of the federal administration in Austria. The BRZ has approximately 1,200 employees, is in charge of 3,000 servers and has equipped 1,200 locations throughout Austria with infrastructure and has successfully deployed more than 300 IT-processes. BRZ supports more than 400 eGovernment applications that are used by five million users. The BRZ runs one of Austria’s largest computing centres, its own parallel computing centre and ensures one of the most reliable infrastructures available. The Federal Computing Centre of Austria is also an internationally renowned cooperation partner and is part of several international projects and networks such as the Euritas (European Association of Public IT service provider). BRZ is serving as a piloting partner in the project, and within the Austrian pilot as the ICT pivotal point of the Austrian use case. BRZ also contributes to the pilot definition and the implementation of the project’s ICT applications. BRZ also supports the hosting and the operation of ICT infrastructure during the implementation and test phase and will support the Austrian and potentially other piloting partners with the operational ICT platform during pilot phase. BRZ also supports the owner of the pilot procedure (linked third party BMWFW) from a technical perspective. Furthermore, BRZ will support the data management and the validators in the project with on site and online connectivity to the pilot platform. BRZ will also contribute to the Ethics part. Jibe is actively building an ecosystems for business, content, service and technology partners, to attain a leading position in bringing the best offerings to the market. JIBE will lead the platform integration and implement the user interface implementation for the PoSeID-on platform. Project Coordinator MEF and partners BRZ and PNO will use linked third parties as follow. every other activity involving information technology in areas under the responsibility of the Ministry of Economy and Finance. Sogei may also perform, directly or indirectly, in compliance with the legislation in force, any other activity involving information technology mainly on behalf of central public administrations, and, relative to the evolution of the business targets, digital activities for the Agency for Italy and those for the Ministry of the Interior for the electronic identity card project, the issue of the standardised digital identity document and for the planning, implementation and management of the national database of the resident population – ANPR (Anagrafe nazionale della popolazione residente), and all the activities connected and instrumental to the same. Sogei, since its establishment back in 1977, designed and implemented the Italian Tax Information System whose operation and evolution it constantly monitors following the in-house organisational model. 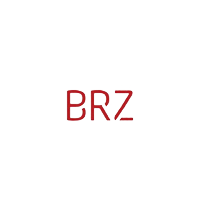 BRZ is a Private Limited Company established by the BRZ law in 1997 and owned by the Republic of Austria represented by the Austrian Bundesministerium Für Digitalisierung und Wirtschaftsstandort (short BMDW). The goal of the Federal Ministry for Digital and Economic Affairs (BMDW) is to further enhance the positive development of the Austrian business location, to actively take advantage of the opportunities offered by the digitalisation of business and society and to strengthen entrepreneurship. The tasks of the Ministry are performed by various Centres and Directorates General with differing priorities (the exact designation of these organisational units will be detailed in new administrative rules). BMDW owns the eDelivery system, for which BRZ is the technical operator including the further development of the system. As linked third party BMDW will support BRZ with all relevant information on the procedure for specification purposes (know how transfer), monitor the Austrian pilot, which will be implemented and operated by BRZ ,share its network with BRZ to disseminate the content and the results of the projects support the project in exploitation activity. Ciaotech S.r.l. is the Italian branch of PNO Innovation B.V. Ciaotech has a strong cross-sector experience in business innovation management in highly innovative fields including ICT, security, biotech, space, nanomaterials, and photonics. Ciaotech is also a qualified business partner of Innovhub (innovation agency of the Lombardy Region) and of the Business Innovation Centre of Lazio, where it supported more than 30 startups in preparing marketing and business plans. Ciaotech provides expert support about business opportunities, market demands, technology trends, key societal issues and government policies. CTECH has a team of cross-cutting experts with expertise in ICT, security, multimedia, business, life sciences, science and technology and a strong track record in supporting companies, in particular SMEs, in developing business around innovative and cutting-edge technologies. Ciaotech has participated in several EC funded projects supporting project coordination as well as managing impact-related tasks such as exploitation, dissemination, user and stakeholder engagement, validation and training. The company has also published several papers and developed ICT tools in the field of innovation management, and has developed a proprietary innovation management methodology, based on the combined usage of TRIZ (Theory of Inventive problem Solving) and QFD (Quality Function Deployment) to support the innovation processes. CTECH will support PNO in all its activities in PoSeID-on, in particular for what concern the dissemination of results and the market watch task.